I spent a few days this spring tracking down waterfalls in Vermont with the help of http://northeastwaterfalls.com/ and some beta from Ryan McCall and ended up with some awesome drops, some of which we ran and some of which I need to go back for. I scouted Dewey Mills on the Ottaquechee at high water once a few years ago and knew there was a line river left of the island but didn’t run it. This year, I went and looked and it was just a bit too high — the dam drop at the top had a pretty sizable hole — but I went back the next two days in a row and finally found it at a perfect level. Quinn Connell ran it first, then myself and Alex Toth, and then I hiked up and ran it again…Really fun drop. Glad we finally got it. 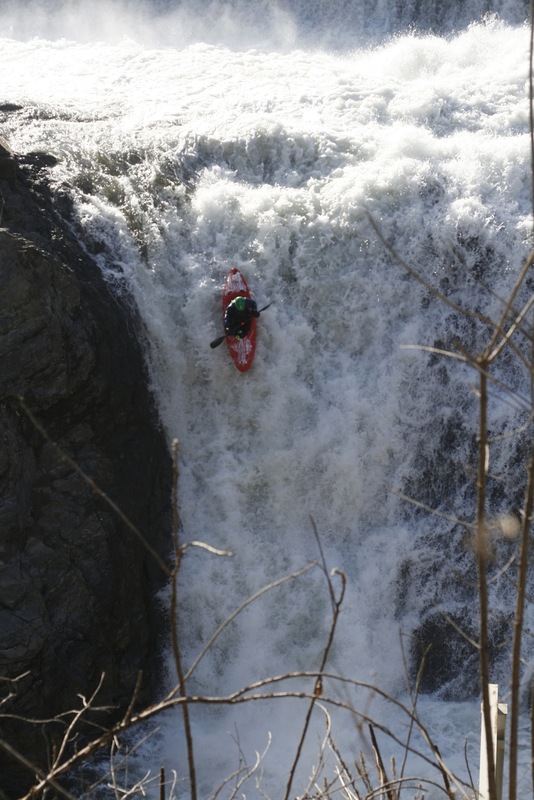 Me on Dewey Mills Falls on the Ottaquechee. Photo Brian Seitz. Brian also shot some video. 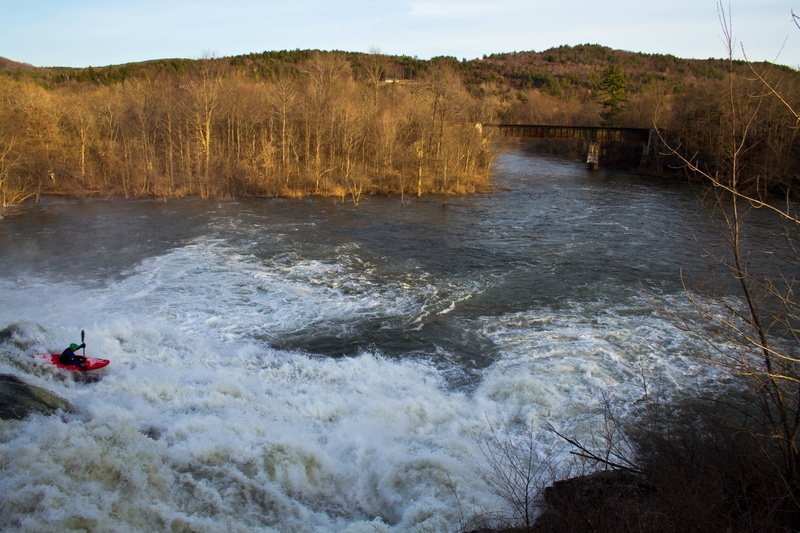 On the same day, we drove a few miles downstream on the Ottaquechee and ran the North Hartland Dam, which had three channels. 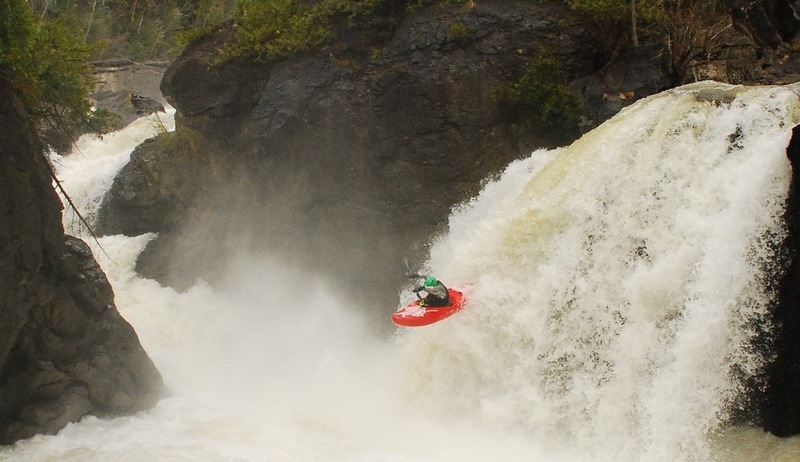 Quinn boofs the river left channel of the North Hartland Dam on the Ottaquechee. 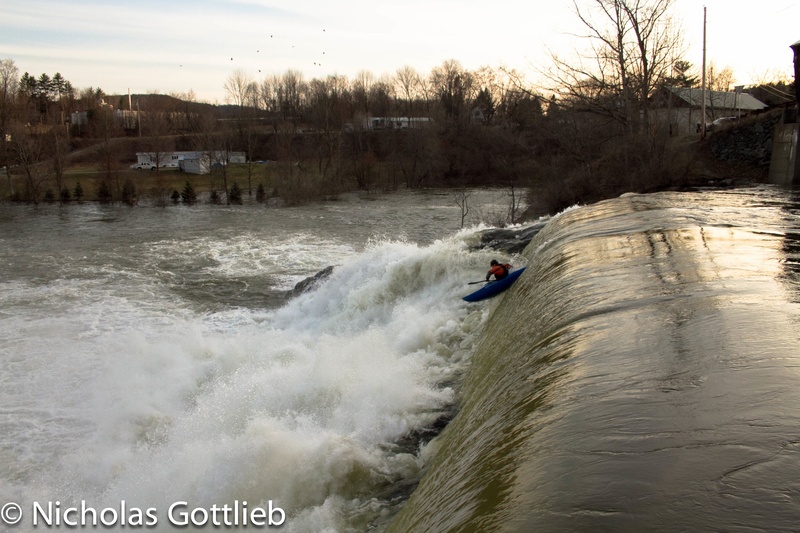 Me on the center channel of the North Hartland Dam, a fun slide. Photo Quinn Connell. 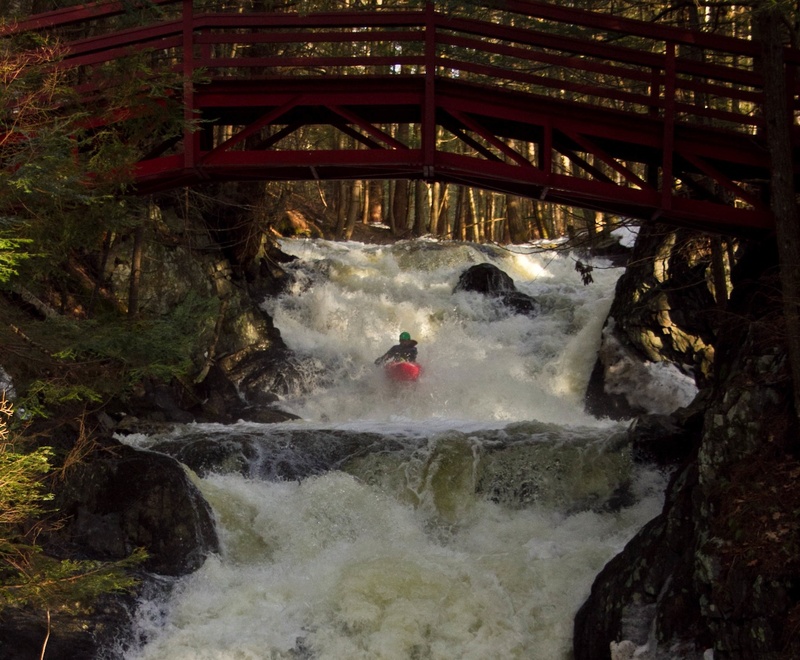 Me in the Trout Brook double drop, Lyme, NH. Photo Quinn. Billy Wagner on Bingham Falls in Stowe, VT.
We went up to the Sterling Brook Gorge in Stowe, as well, and despite the very low flow, Christian, Alden, Billy, and Quinn ran it. 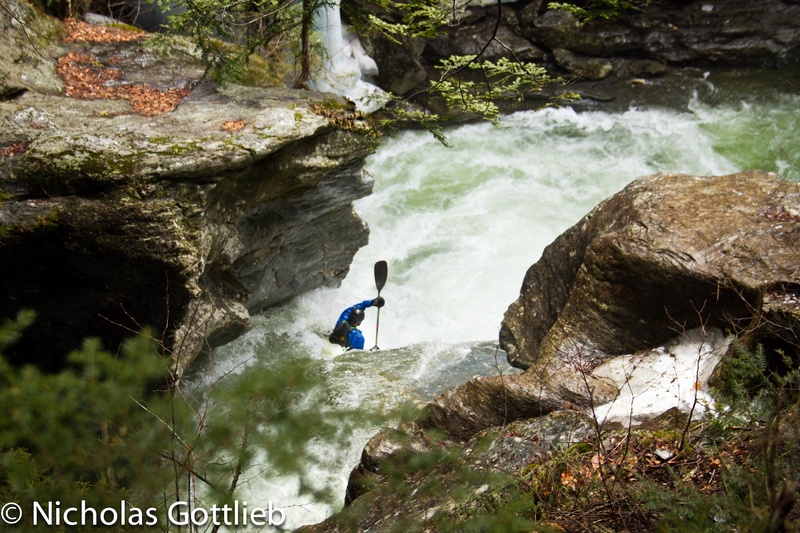 With better flow, it’ll be one of the coolest sequences in Vermont — a tight bedrock gorge that drops some 150′ over 7 drops. Alden Bird styling in the Sterling Brook Gorge. Parts of Vermont are almost two hours from my house…but even those parts are worth driving to. 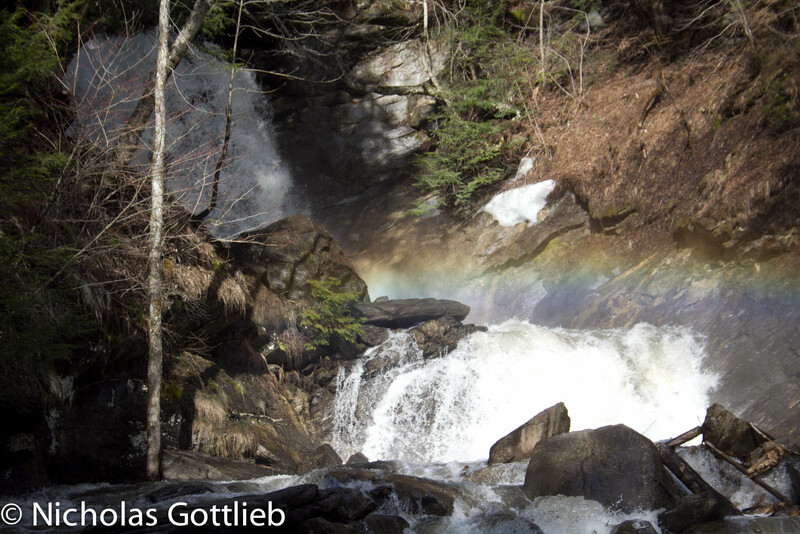 Milton Falls on the Lamoille is this awesome multi-channel rapid that drops ~100′. 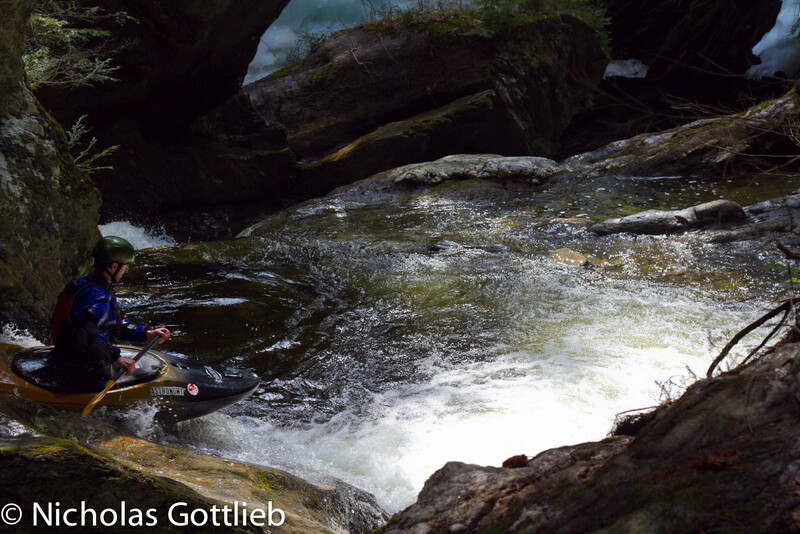 We were there at pretty high water and just ran a gorgeous 25′ boof on the river-left most channel, but the river-right channel looks pretty exciting as well. Me stomping Milton Falls in Milton, VT. Photo Justin Crannell. Old City Falls, Strafford, VT.